The first crazed trailer has arrived for A Dragon Arrives!, the sixth film from Iranian writer-director Mani Haghighi. In competition at the Berlin International Film Festival earlier this year, A Dragon Arrives! seems to cover an array of topics relating to a staged suicide, a sound recordist who disappeared, ghosts, the desert, and all types of madness. The trailer is an oddly edited, captivating look into the twisting narrative, escalating into a cacophony of beating synths and fast-paced imagery that is sure to leave its mark on your retinas. See it below — with a nod to Cine Maldito — along with a poster for the film that stars Amir Jadidi, Ehsan Goodarzi, and Homayoun Ghanizadeh. An orange Chevrolet Impala drives across a cemetery towards an abandoned shipwreck in the middle of a desert landscape. It is the 22nd of January, 1965. The day before, the Iranian prime minister was shot dead in front of the parliament building. 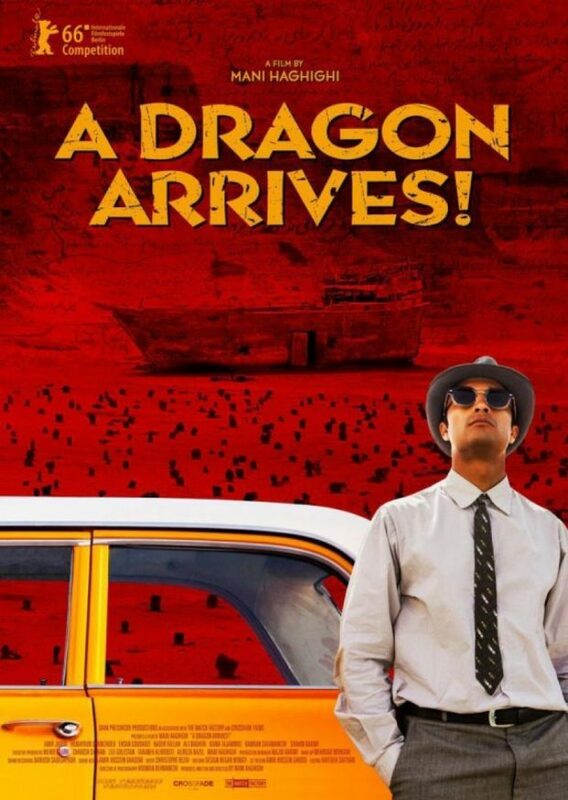 A Dragon Arrives is awaiting a U.S. release.